Questions potential investors frequently ask Tom Tamarkin, founder & CEO of EnergyCite, Inc.
Q. When did you first realize people needed real time energy consumption data and what did he do? A. In 1981 I developed an utility meter based in-home energy display product and met my wife of 36 years in the process. Q. You invented the “Smart Meter”, didn’t you? A. Yes, in 1992 we exhibited working electric, gas and water smart meters at the AMRA show in Atlanta, GA and did a pilot project with the City of Garland, TX using our meters and in-home displays. Q. Why are you so passionate about this project? A. Because people deserve to know exactly how much they are spending in real time so they can save money and natural resources. Most people don’t know the price of electricity varies as a function of how much they use and when they use it. Q. Why should energy be conserved and what are the societal and geopolitical considerations? A. As we begin to deplete fossil fuels, the cost of energy will increase dramatically. As costs escalate countries’ will go to war to defend or acquire energy sources. Q. Why are you the right guy to build and run this company? A. Because I have over 30 years experience building and selling technology based businesses. Q. It looks like you have been building this company for over a decade. Why has it taken so long to get the products to market? A. Yes. We started in 2001. Utility companies are very change adverse. It took me 7 years and over 40 in person meetings to get Southern CA Edison, the nation’s largest electric utility, to change out 5 million power meters with modern meters compatible with our products. It took another 8 years for over 75 million such meters to be installed nationwide and for smart phones to become ubiquitous. Q. Why should people invest in your company now? A. Since 2001 we have raised and invested 3 million dollars and the R&D along with the patent work is done. Now we are taking the products to market. Q. Why will EnergyCite be successful? A. We have a great patented product line, deep experience in the utility industry, and I am assembling a management team with the skills and experience to build a highly profitable business. Q. What sets your product apart from others like the new Nest Labs and Honeywell “learning” and communicating thermostats that communicate with utility companies? A. We give the customer real time energy use and cost information. We allow customers to control energy use through the energy management system. The thermostat companies do not provide real time cost and energy usage information nor can they control any other devices in the house. They only control the HVAC (heater and air conditioner.) We also offer a complete home energy management system product line which total automates energy use for maxim costs savings. Since all smart meters in America conform to the same set of ANSI standards, we can work with any utility in the country. Q. Your company videos say EnergyCite is the only company in the world that can monitor and control energy use using information from the utility smart meter. Why can’t others do this? A. The three Tamarkin U.S. patents provide broad system topology coverage which means that when all the pieces in the system are connected and operating, the single end users must practice these patents. 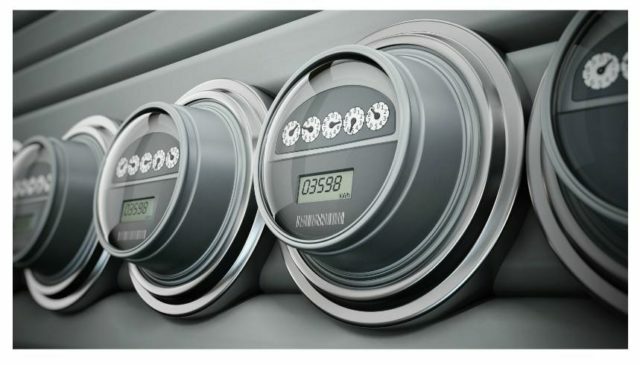 The utility company is the single end user because they own the smart meters and the equipment at the utility which communicates with them, and they enable their customers to connect devices to the system. In time we may see infringers. We will license utilities in such a fashion as to generate royalties from such systems provided by future competitors. Q. As a privately held company how will investors get their money back? A. EnergyCite will go through several additional rounds of capitalization. Each round will be done at a higher share price. The final exit strategy for early investors will most likely be an acquisition by a much larger company, just as Google acquired Nest Labs Thermostat for $3.3 billion three years after the company was formed. Another possibility would be an IPO.